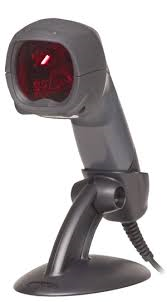 Honeywell's Fusion® 3780 laser barcode scanner combines omnidirectional and single-line laser scanning into a lightweight and ergonomic hand-held form factor. The Fusion 3780 scanner's automatic stand detection allows users to seamlessly switch from hand-held to presentation scanning. 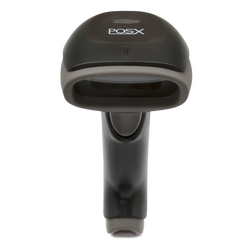 The 20-line scan pattern provides superior scanning over existing single-line scanners, making the Fusion laser scanner ideal for medium-volume retailers including specialty stores, pharmacies, liquor stores and convenience stores. Honeywell's Stratos 2300 is a six-sided, 360° bioptic scanner and scale that provides retailers with high-throughput efficiency and aggressive first-pass scanning performance. Its patented modular independent scanning planes simplify set up, minimize downtime and maximize customer satisfaction. 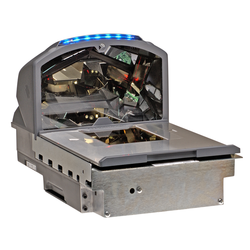 The Stratos in-counter scanner form factor is available in several lengths and boasts a 4-inch-below counter depth for easy integration into most checkout environments.